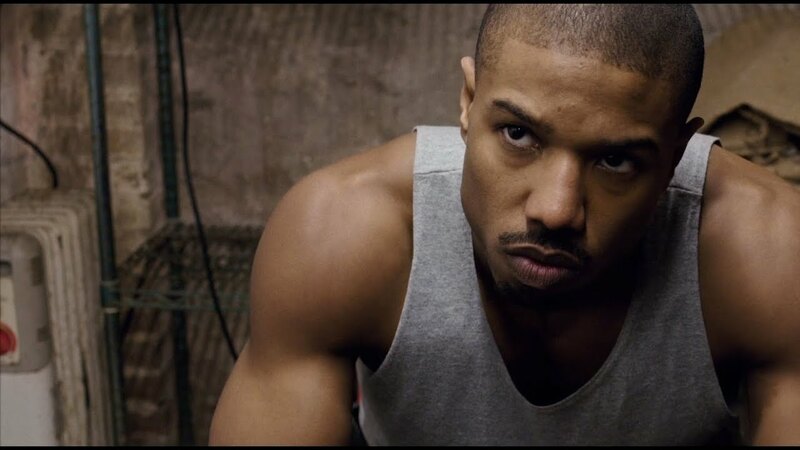 The biggest compliment I can give Creed is that it is a worthy successor to the Rocky crown. The worst thing Creed could have been was a Rocky movie with a young boxer thrown in as a background story. Luckily, Creed is not that at all and what it delivers is a character who could very well carry the boxing franchise forward. Creed makes the very wise decision to not throw the son of Apollo Creed and Rocky together immediately. Instead, it builds the background of the character and makes him a worthy protagonist himself. Adonis (yep, Adonis) has a very different background to the Italian Stallion too. He isn’t a boxer with nothing to lose, building himself up from nothing. Adonis Johnson is wealthy, he lives in his father’s mansion and he doesn’t need to throw himself into boxing. His story is different, his motivation unique and subsequently he is a much more interesting character to get behind. The movie takes it’s time to introduce Adonis and it means that we are rooting for the character before he gets to Philadelphia. The movie really kicks into gear when Rocky Balboa enters the film and I defy any Rocky fan not to beam as Sylvester Stallone utters the immortal words, “hey, how you doing?” as he meets his old rival’s son. The fact that Stallone can still comfortably convey the same character he played for first time back 1976 is a testament to both his skills as an actor and also the appeal of the boxer. This is where the movie demonstrates it’s biggest triumph. It manages to be the first in a possible franchise, starting a new story for a potentially great character while also being a Rocky movie, slotting comfortably into that franchises legacy too. Creed is a Rocky movie at heart. It has everything Rocky fans want to see. The montages are back, with some great variations on where to train, Philadelphia provides the cold, harsh but iconic backdrop to the young Creed’s training and Adonis even gets his own version of the famous, never-ending step-run, culminating in his triumphant moment, announcing himself as a worthy challenger. This is where the real connecting tissue makes itself known. The soundtrack and score of the movie is perfect. The soundtrack is a great mix of harsh hip-hop and soulful R&B, perfectly accompanying the key moments in the film. What will bring a tear to the faithful fans is the use of the classic Rocky music though, from the slow and melodic Mickey’s theme to one of the best uses of the classic Rocky theme you’ll see in the series. Of course, every Rocky movie lives and dies in the boxing ring. Here is where Michael B Jordon as Adonis, demonstrates his talent. Throughout the movie he carries the film ably, having some dramatic moments to work with but in the ring he shows real passion and skill, conveying the boxing realistically. There are many fights but the best is Adonis first major bout, where the rounds are one long, seamless take and we see the raw energy of the match. It will bring goosebumps to the boxing fan and relocate Rocky fans back to the classic matches from the original movies. The boxing moments also deliver the negative aspect of the movie. Throughout, with some pretty heavy material, Creed manages to dodge the cheesy, cringe-worthy moments but there is some of this as Adonis battles in the final bout. It jars and stands-out compared to all that has gone before but once those punches are thrown, you lose yourself in what Creed does best. Overall, Creed demonstrates that there is life in the Rocky franchise yet. It has an interesting new central character, some clever ties to the original movies and the heart of the series which is still compelling after all these years. If the movie is handled well, we could well have a new franchise to accompany the Rocky legacy. 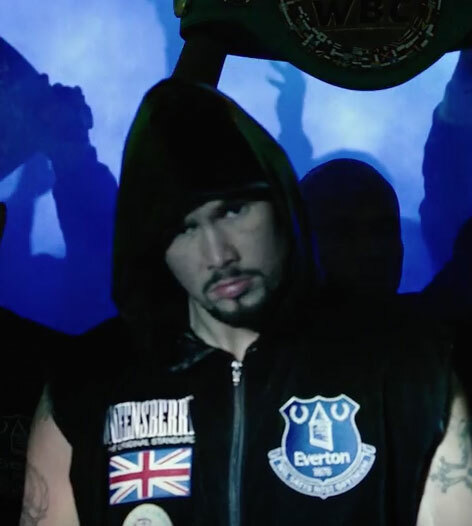 Note: I didn’t want this to sway my decision but Creed’s final bout is set in Liverpool, England at the Football Stadium Goodison Park, home to my favourite English Football team. To see the Everton badge, colours and stadium so prominent at the finale of the movie definitely made for some bias. I hope this inspires more sports movies. We need more Rockies. I’d love that! A new Creed franchise would be decent.